Top 10 Hardworking plants for herbaceous borders. ← New meets old in the gardens of Versailles. One of the things I love about summer gardens in Britain and Ireland is the herbaceous border, consisting of perennial plants which have their few months of glory, die back in winter to reemerge again in spring. The great gardens open to the public usually have such a border, often a hundred feet in length and backed by an old wall or ancient yew hedge. But even in an average suburban plot, the principles are much the same. 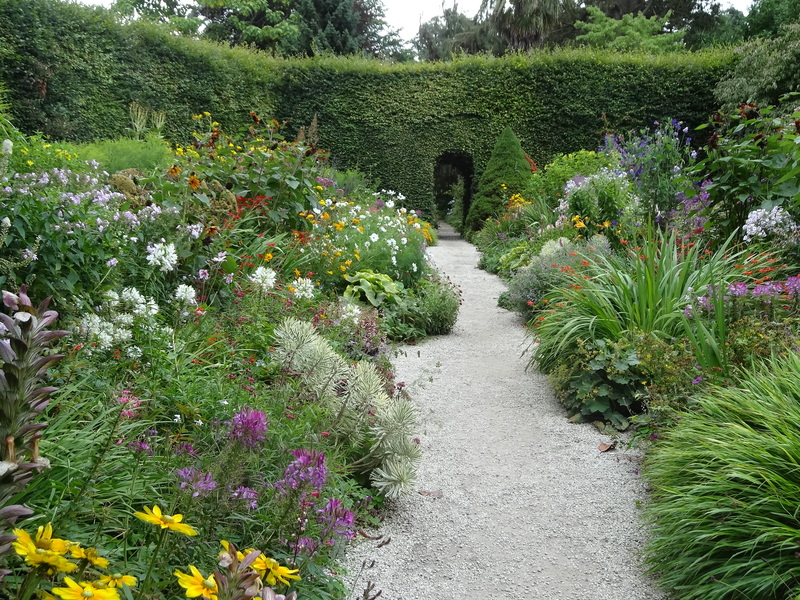 Herbaceous border at Mount Usher Gardens, Co Wicklow. 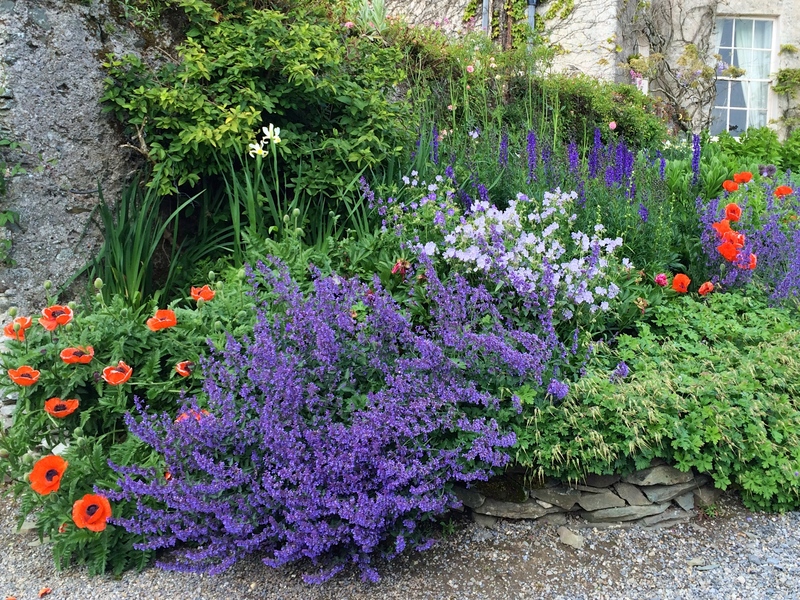 Repetition – repeating a key plant or colour creates cohesion and harmony. Groups – plant in groups, best in odd numbers, for greatest impact; the depth of the border should be at least 4 feet if possible. Height – traditionally tall plants such as Delphiniums were grouped at the back sloping forward to the low growers at the front; however, wave planting is common where similar plants are “woven” through the border. Form – Using contrasting shapes and textures creates interest,eg, tall poker heads of Kniphofia next to the flat heads of Achillea. Maintenance – deadheading, staking and editing is necessary to keep the show going. If you are starting a new herbaceous border this autumn, soil preparation is very important and incorporating non-herbaceous plants such as bulbs, shrubs and grasses means you won’t have just bare soil come the winter months. So these are some of my top perennial plants, small, medium and tall, which I have found over the years to be easily available, reliable, hardworking or good value at giving a prolonged period of flowering and attractive to pollinators. 1. 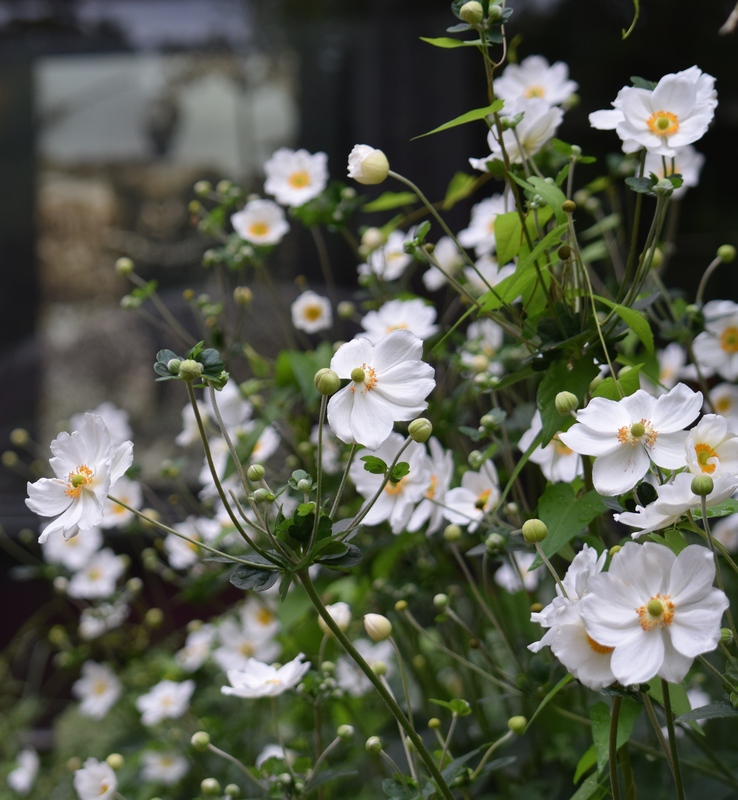 Japanese anemone : Lots of flowers especially in late summer and autumn which are attractive to bees. Im. 2. 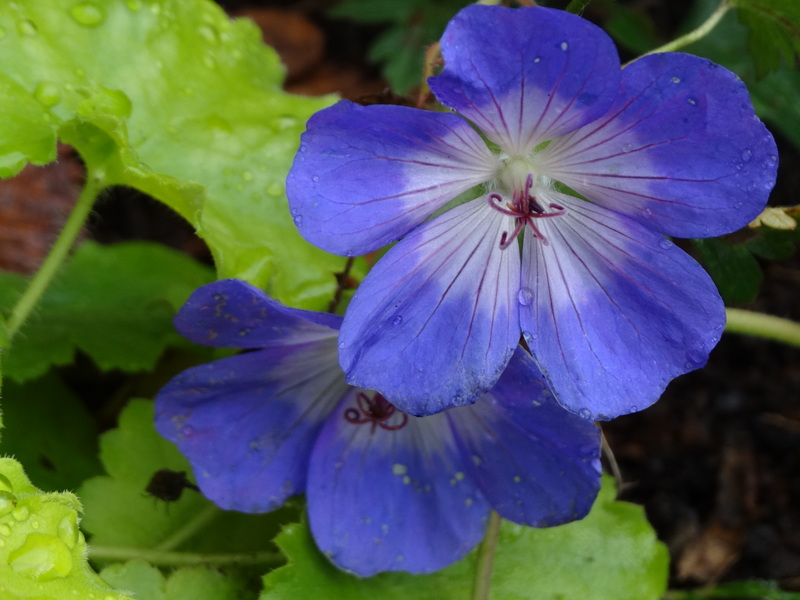 Hardy Geranium : Low growing perennials giving flowers all summer; the very best variety is ‘Rozanne’ above. 3. 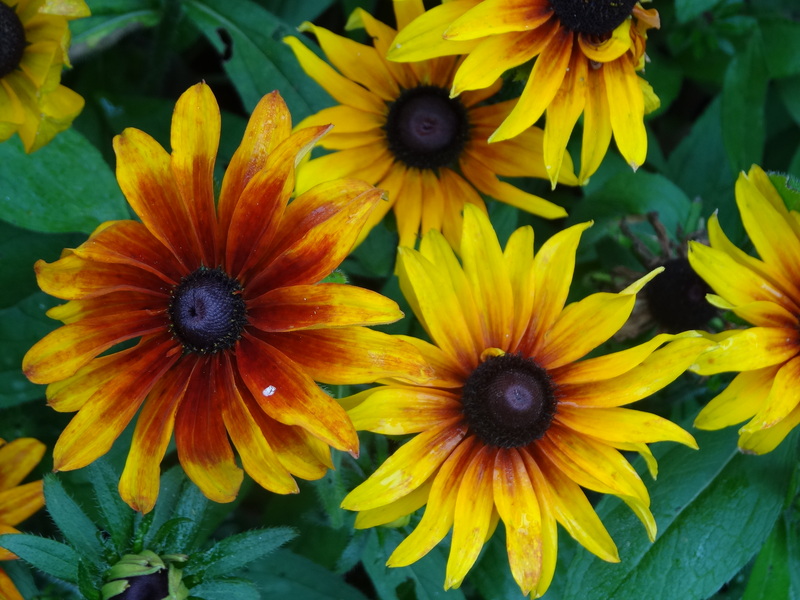 Rudbeckia : Long lasting daisy flowers add a splash of colour to any border. This variety is ‘Cappuchino’. 4. Veronicastrum has a sculptural quality with tall candles of flowers in mid-summer. 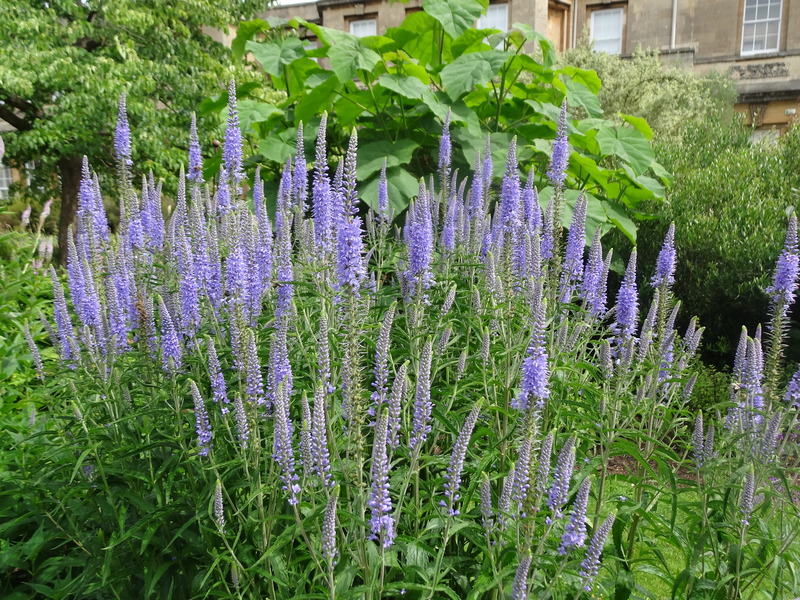 Salvia nemerosa is a plant of similar appearance with a lovely purple/blue colour. 5. 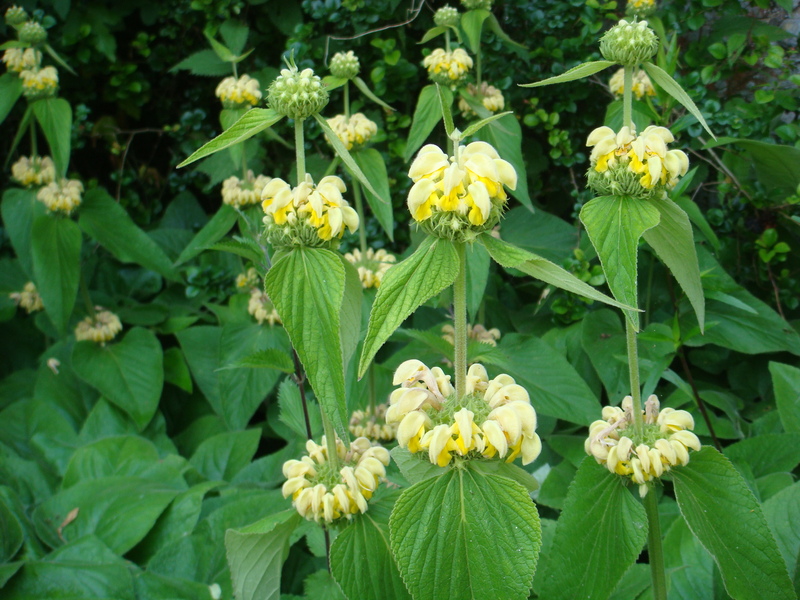 Phlomis russeliana : Interesting structural plant with unusual whorls of yellow flowers loved by bees. 1m. 6. 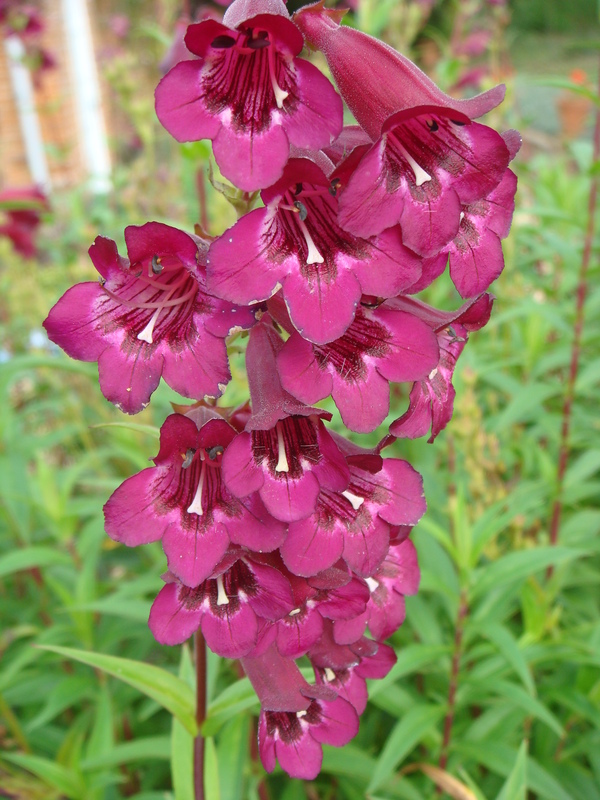 Penstemon : Long flowering period with a range of pretty colours. This one is P. ‘Raven’. 7. 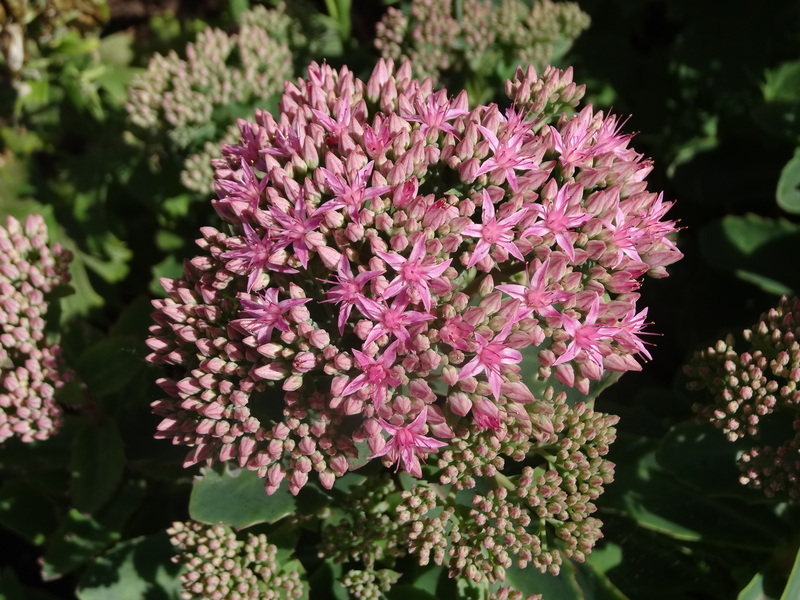 Sedum spectabile : low growing structural green buds then colour to pink in early autumn; good late plant for pollinators. 8. 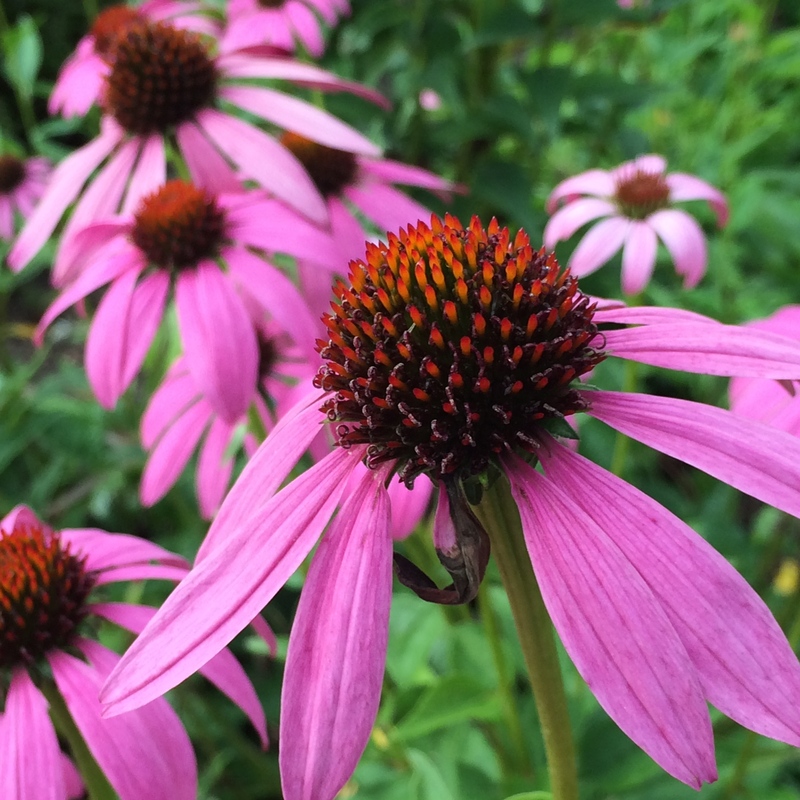 Echinacea: long lasting self supporting daisy like flowers make an impact in a border. 9. 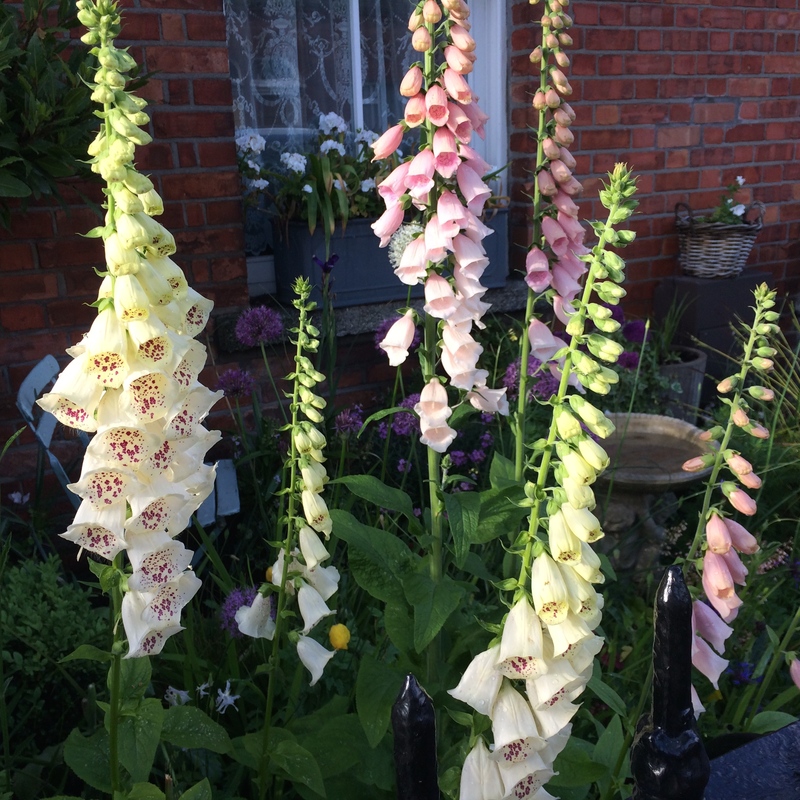 Digitalis : Foxgloves, early summer flowers bringing a welcome height to the border in early summer, much loved by bees. D. grandiflora is reliable and a true perennial. 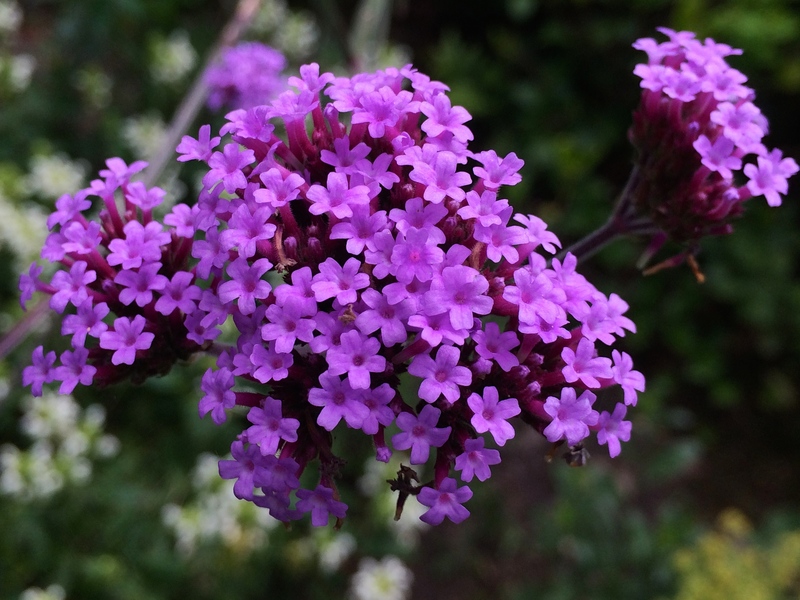 10.Verbena bonariensis : tall, self supporting, very long flowering, growing up to 1.2m on wiry stems supporting tight clusters of purple flowers into autumn. An all time favourite. Contrast : The blues of Nepeta, Hardy Geranium and Delphiniums are enlivened with bright orange poppies at Burtown House, Co Kildare. 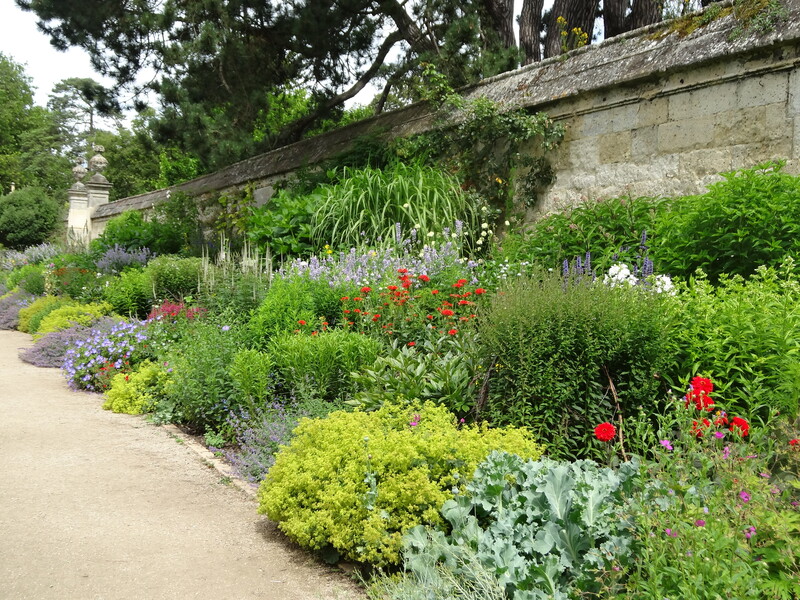 Repetition : Classic Herbaceous border at Oxford Botanic Garden, the repetition of plants and colours creates a harmonious look. Form : A Monochromatic scheme in the Sun garden at Villandry is successful as contrasting forms and textures give variety. Colour : A tiny urban front garden with lupins, Centaurea montana, Aconitum, with Allium bulbs, uses a limited and subdued colour palette to create harmony. Autumn is the perfect time for regenerating your herbaceous border, lifting and dividing perennials so that you can increase your stock, reappraising the successes and failures and planting bulbs to increase the flowering season. Emerging spring perennials is something to look forward to in the dark months of winter ahead. Many thanks. We’ve had a mixed summer of weather here – lots of heavy rain and winds have been challenging for herbaceous plants! Totally agree with your list! I like to come up with colour themes for my borders. Problem is I’ve got so many ideas and not enough garden…. Love the example photos too. One of my favourite borders is the tea garden at Heligan. It’s almost entirely Verbena and white Japanese anemones. Simple but effective. Many thanks! 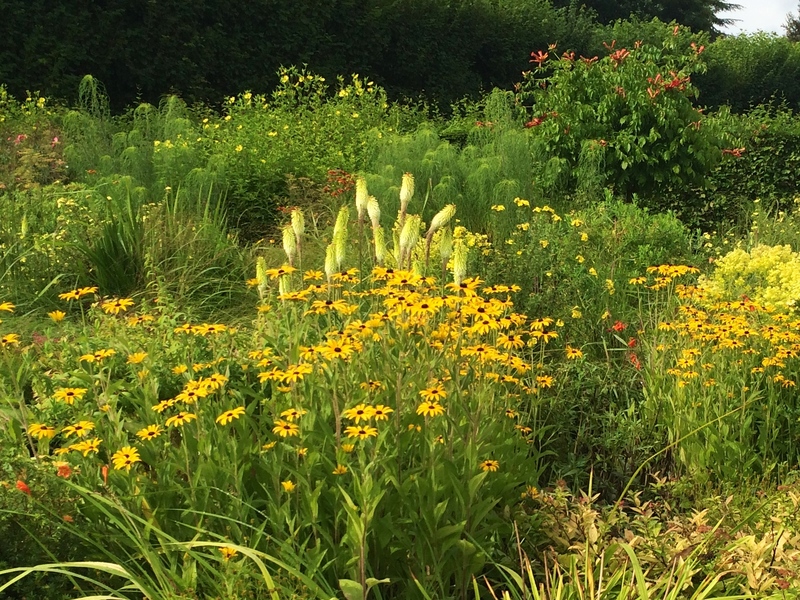 I found it hard to omit perennials I regularly use but picking Ten concentrates the mind. The one thing I’m a bit obsessive about is Colour – it is very often the making or undoing of a border! I so agree with you about colour. I have a real problem with introducing yellow beacause it just does not work for me. Although I do love annual Rudbeckia. I love your posts and this one was no exception. The tiny urban garden was charming! Thanks Karen. I agree with you about yellow – often tricky to place and I don’t like it with pink at all! Softer shades of yellow are easier, though a monochromatic yellow border, like in the post, can be so cheerful. I tend to use Rudbeckia etc to enliven a mostly blue and white border. Thanks for your lovely comment and encouragement. You have been so much help to me in my garden design. 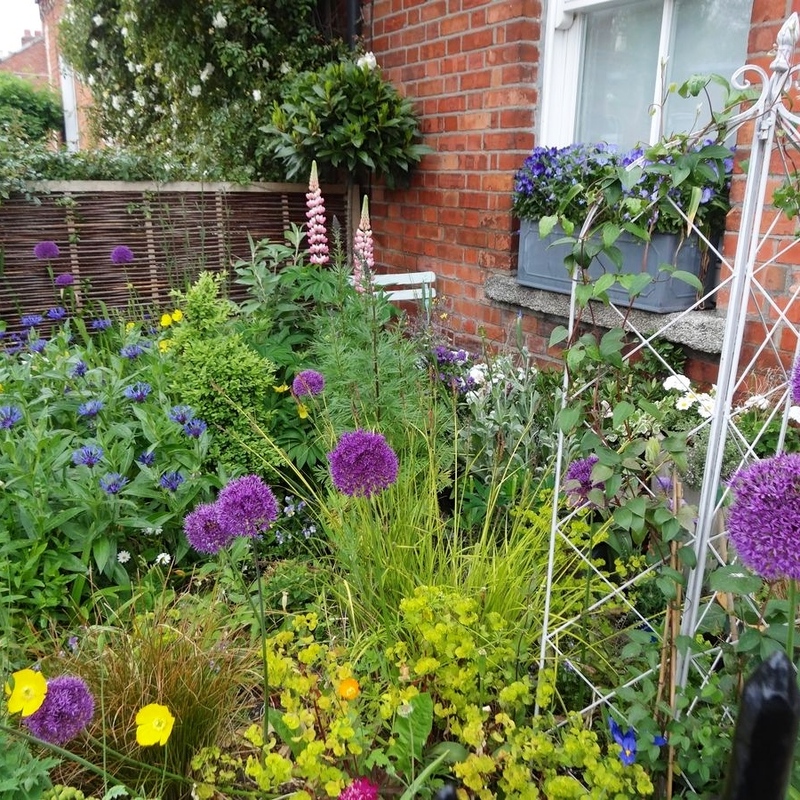 I have not posted about it yet but my garden has just been inspected by a garden designer for the ngs…..and I have been accepted!!! So very thrilled for you! And not at all surprised from the glimpses I’ve seen. And one of the things I lvoe about summer is your blog! always so beautiful and interesting too. Oh Cynthia, thanks so much! It’s always lovely to have that feedback! Spectacular herbaceous borders, Jardin; and thorough information. And your photos and examples are wonderful. Many thanks – probably my favourite element in a garden!